THE MOST THRILLING NEW BIKE YOU’VE EVER SEEN! TEST RIDE This Amazing New 5-Speed Derailleur Gearshift! 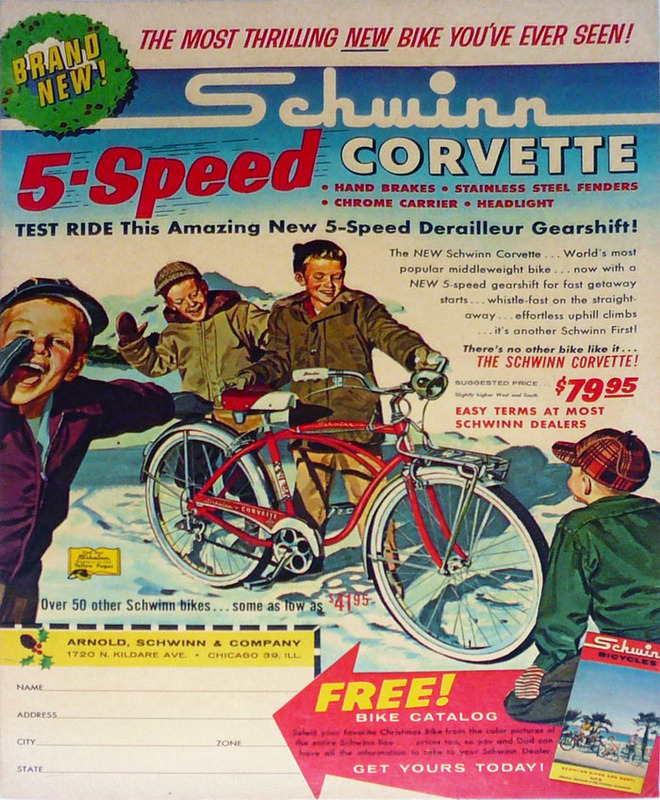 The NEW Schwinn Corvette … World’s most popular middleweight bike … now with a NEW 5-speed gearshift for fast getaway starts … whistle-fast on the straight-away … effortless uphill climbs … it’s another Schwinn First!